Many Hawaiian residents express their concern about their dependence on food that comes from far away. Actually, there are more and more conferences and workshops about the topic of food security for Hawaii. With this in mind, I went to the Big Island of Hawaii for a vacation last April. I certainly would recommend to everyone to do the same if they ever have the chance. regions quite interesting. The Islands of the State of Hawaii are isolated, as they lay in the middle of the Pacific Ocean, thousands of miles away from any significant continental mass. the one of the University of Hawaii’s Pacific Aquaculture& Coastal Resources Center. There, I had a good conversation with PACRC’s Director Kevin Hopkins, a very knowledgeable man with extensive experience in aquaculture, not only in the USA, but also in Asian and African countries. Thanks to him, I got a better idea of the challenge to integrate a sustainable aquaculture in the Hawaiian environment. Living in Vancouver, BC, and having worked in the salmon farming industry, this is not a new topic for me. Aquaculture faces similar concerns in both places. With this in mind, I continued my vacation. 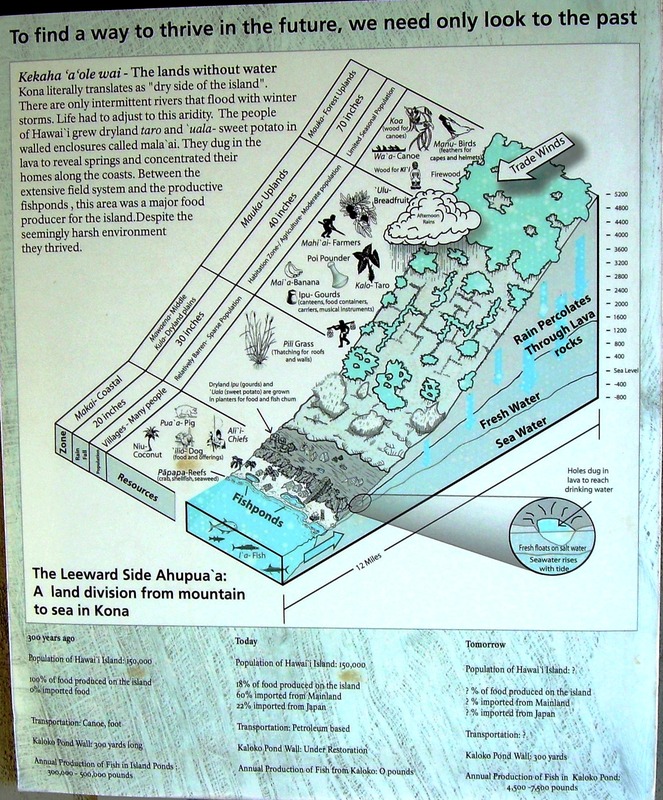 At the Kaloko-Honokohau Historic Park, I found a sign showing a comparison of food security between today and 300 years ago. By then, there were 150,000 inhabitants on the Big Island of Hawaii, 100% of the food was produced on the island, 0% was imported, and they were producing 300,000-500,000 lbs. of fish in stone fishponds. Today, for a similar population, only 18% of the food is produced locally, and the Kaloko fishponds do not produce any fish at all (see picture). Of course, these numbers do not take the number of tourists to feed into account. Moreover, the current food consumption per capita is probably substantially richer in calories than 300 years ago, too. 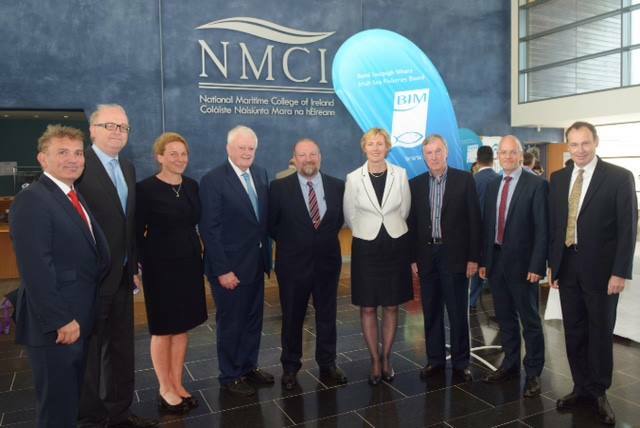 However, this history could be a good basis for more constructive discussions about aquaculture. Clearly, aquaculture was a traditional way of improving food security for ancient Hawaiians. The old fishponds were made of walls built with the volcanic rocks, and the fish was passing though a gate made of vertical bars. The small fish could enter, but as they grew bigger, they were unable to pass the gates and leave. This system made me think of a hybrid form of closed containment. In BC, where many discussions are about producing salmon on land, the Hawaiian fishponds are actually a quasi-closed containment on the seabed. It does not require all the land-based infrastructure and equipment, as is the case for land-based closed containment systems. What I saw at this park tells me that the useful could meet the historical, cultural and the modern just to help develop a responsible and productive aquaculture to increase food self-sufficiency for Hawaii. In a region where the ocean space available is as vast as this is the case around Hawaii, I am convinced that there have to be plenty of locations where aquaculture can be conducted without harming the environment, and there have to be more than enough adequate production techniques to do it right. In the same park, there were remnants of pits in which rocks were set up in many individual planters. In these planters, called mala’ai, the ancient Hawaiians used to grow food plants. This is an ingenious system, because in that area, the fields are covered by lava. There is no soil to be used for open field crops, such as wheat, for instance. On the other hand, there would be plenty of acreage to set up such planters. This would be labor intensive, though. At the Kaimu-Kalapana black sand beach, I read on a sign that ancient Hawaiians used to harvest seaweed and that apparently, their methods were sustainable. It is only after commercial harvesting by European settlers started that the seaweed quantities plummeted because of excessive harvest volumes. Just like for fish production, researchers from all sides should work on restoring such a seaweed production in a sustainable manner. This example, like all other examples of unsustainable human practices, simply demonstrates that we must produce or harvest what we can, instead of trying to produce or harvest always more while ignoring the signals that we are passing a breaking point. I spent time only on the Big Island, and I did not visit the other islands. Probably, I do not have the whole picture, especially considering that more than two-thirds of Hawaii’s population lives in the State capital, Honolulu. According to the latest US population census, Hawaii’s total population is of about 1.3 million people, out of which more than 900,000 live in Honolulu. To get a more accurate picture of how much food needs to be produced to meet demand, it is necessary to add the visitors. Per year, the number of visitors is about 7.4 million people, who stay on average 9.15 days. This number expressed in average outside visitors staying in Hawaii per year is 7.4 x 9.15 / 365 = 186,000 people. To simplify, I will estimate the number of mouths to feed at 1.5 million. For the Hawaiians concerned by the food security or, better said, the low food self-sufficiency of their state (less than 15 %! ), what are the possibilities? Just like in most of the rest of the USA, the local food movement is growing. More and more people are trying to grow some food on their balconies. Of course, this will not be enough to reverse the situation, but it will contribute. Farmers’ markets are gaining in popularity, and I have to say rightly so. Unlike what I am used to in my neighborhood, the food sold on the farmers markets that I came across on the Big Island offer many affordable and actually cheaper foods than in the large supermarket chains. At the farmers markets, I could notice that many more generic vegetables such as onions, tomatoes or bell peppers were shipped from the West Coast of continental US, mainly Washington State. On the other hand, I found quite interesting to notice that the big retailers are also trying to source local products. I only visited a Wal-Mart and a Safeway. From what I have been told, the selling of local products at their outlets is a recent change. This is interesting, because these retailers will try to be able to source larger volumes, and they actually maybe in a position to stimulate more local food, agriculture and aquaculture production. The quality of the local food is quite good, although when on vacation everything tends to taste better for some reason. Although I am not much of a beef eater, I was tempted by a “Hawaiian” local grass-fed beef burger recipe, and I have to admit this was the best burger that I ever tasted. It was so good that we went back to the same pub the next evening and I had another burger, while my spouse had a steak. Her steak was simply stunning. And the price was actually cheaper than similar generic beef dishes here in Vancouver. When it comes to justifying more local food production, I have seen very interesting numbers about the amount of money that Hawaiians spend on food, and therefore to producers outside of their state. According to the same studies, local production would also result in more local jobs. However, I would not develop a plan based on such numbers, not because I doubt them, but because the business must be financially viable as well. I find all the reports that I have read too general or too academic for my liking. Moreover, I am not convinced that the politicians are committed to take the necessary steps to increase food self-sufficiency in Hawaii. They give it quite some lip service, but I miss signs that this topic might be on top of their priority list. Personally, my first step to see what needs to be done would be to look at how many farms are required to produce what is needed: how many eggs, how much milk, how many chickens, how many pigs, how much fish, how many fruit and vegetables, how much wheat, rice, potatoes, and so on. Once I would have identified the size of the local market for all the food items, I would calculate how many farms are needed to meet that demand. After all, there cannot be food security if there are not enough farms. For instance, every 10 kg consumption per capita of chicken meat means a production volume of 1.5 million x 10 kg = 15 million kg of chicken. As a chicken weighs about 2 kg, this would correspond to 7.5 million chickens per year. With an average of six flocks per year in a chicken house, this would mean a production capacity of 1.250 million places. This represents about 60 chicken houses. Depending on the size of the farm, my guess would be that 10 to 20 farms are necessary to cover a consumption of 10 kg per capita per year. If consumption were 40 kg per capita per year, Hawaii would potentially need up to 80 farms. Do they have the farmers and the locations for all of them? That is what I would like to determine. Similarly, in the case of marine fish farms, every 10 kg consumption per capita per year of fish requires 15 million kg of fish, or close to 30,000 tons of live fish. If we were to imagine the containment system from Hawaii Oceanic Technology that I mentioned in “High-tech fish farm”, it almost could be produced on one farm. Of course, it would not be wise to put all the eggs in the same basket. If production volumes were comparable to a salmon farm, the 30,000 tons could require 10 farming sites. This is just theoretic in order to give an idea of the production space needed. There would be different species produced, but the calculation method remains the same for each of them. With such an approach, for all the relevant food products, it can appear very quickly if being self-sufficient for the various food items is realistic or desirable. The final exercise, which is also the most important, is the business plan per farm, to assess the viability of the individual projects. Even local, food production must be competitive. The example of Hawaiian sugar cane shows that this is not necessarily the case. Next to farmers, food producers and market outlets, the Hawaiian government can stimulate more local production if it wishes to do so by setting the appropriate policies. Developing such a thorough review of how to reduce food dependency on outside sources in a market-driven and viable manner for the long term would be quite enjoyable to carry out in paradise! The fertilizer of the future? Among the many challenges that the agriculture of the future faces, soil fertility ranks high on the list of priorities. Originally, most farms were mixed. They had land to grow crops and they had animals for milk, eggs and meat. Markets were mostly local, and food was consumed in the villages and towns near the farms. Food waste was fed to farm animals; the manure produced was mixed with straw and returned to the fields where the crops had been grown. Over time, farming has evolved. Agriculture has become much larger scale, global and specialized. This evolution has been driven by the use of oil, mechanization, and by the development of mineral fertilizers. That model, which has been greatly based on cheap energy and resources, needs to be looked at critically as the economic environment changes. Energy is no longer cheap and, like oil, the resources used for the production of fertilizers have been depleted. New solutions are required to be able to produce optimally. The production of nitrogen fertilizers requires a lot of energy. According to estimates, it uses 5% of the world’s natural gas production, and half the fossil fuels used in agriculture. Because nitrogen is quite mobile when dissolved, as this happens when it rains, a large amount of these high-energy-consumption compounds are lost. An estimated 50% of the nitrogen spread on crops leaches through the soil. It ends up in the water system. The reserves of phosphates, another important mineral fertilizer, are facing depletion. This might happen in 20 years from now. With the development of precision agriculture, the waste of minerals can be reduced. With the development of satellite imaging indicating the mineral status of a field, and the local variations within the field, it has become possible for farmers to bring just the right amount of the right mineral at the right time and at the right place. This follows somehow a similar thinking as fertilizing plants in hydroponics operations where crops are produced without soil and fed a mineral solution drop by drop. A consequence of the specialization between crop farms and intensive animal farms is the rupture of the organic matter cycle. Large monoculture farms have suffered soil erosion because of a lack of organic matter, among other reasons. In soils, the presence of organic matter increases moisture retention, increases minerals retention and enhances the multiplication of microorganisms. All these characteristics disappear when the quantity of organic matter decreases. A solution to alleviate this problem is the practice of no-tillage together with leaving vegetal debris turn into organic matter to enrich the soil. This has helped restore the content of organic matter in the soil, although one can wonder if this practice has only positive effects. Tillage helps eliminating weeds. It also helps break the superficial structure of the soil, which can develop a hard crust, depending on the precipitations and the clay content of the soil. Possibly, in the future the use of superficial tillage could become the norm. Deep tillage, as it has been carried out when agriculture became mechanized, has the disadvantage of diluting the thin layer of organic matter in a much deepen layer of soil. This dilution seriously reduces the moisture and mineral retention capacity of soils, thus contributing to erosion as well, even in organic matter-rich soils. The removal of farm animals from specialized crop farms requires the systematic use of mineral fertilizers because farmers do not have access to manure and the minerals it contains, even though most of these minerals originate from the crops farms. At the other end of this interrupted cycle of manure, intensive animal farms do not suffer a lack of organic matter and minerals. They have the opposite problem. They have too much of it, and not enough acreage, if any, where to spread it. This leads to accumulation of manure and other related problems, such as stench, high concentrations of minerals in the soil and eventually in the waterways and drinking water reserves. Since nothing is lost, what has happened to the minerals from fields and from fertilizers? They have been transferred to other places via the global trade of agricultural commodities. Many of these commodities are used to produce animal feed. Phosphate in European pig manure may come from Asian manioc farms. Therefore, the best way to find out where the minerals are is to look at where intensive animal husbandry farms are. 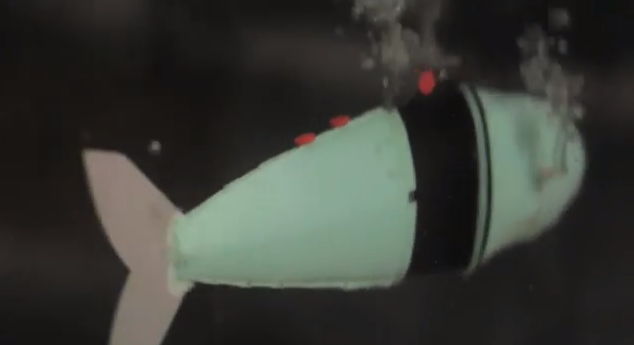 As mentioned earlier, nitrogen is washed away into the water system because of its mobility. Unlike nitrogen, phosphates are not mobile in the soil. They will accumulate, which also leads to a loss of soil fertility, eventually. The other area of concentrations of these minerals is in city sewers, and in the soil of slums. Since the purpose of agriculture is to produce food, and since consumers are increasingly concentrated in urban centers, the exportation of minerals is actually gathering momentum out of rural areas. In the future, we are going to see a new look at fertilization. The economics of agriculture will change. This is inevitable, because the cost of inputs will increase. This will be a direct consequence of the increase of the price of oil, and of the depletion of phosphates reserves. This change of economics will drive renewed interest for manure, and for sewage. These sources will become attractive and competitive, as they contain large amounts of minerals directly available. Because of their nature, they have a high content of organic matter. One of the most efficient ways to remove nitrates from water is to grow plants with it. One of the main sources of phosphates will be manure. There is little indication that the human population will return to the land, but animal farms can be moved rather easily. After all, they already are segregated from vegetal production. The increased need for manure will call for a relocation of animal productions. In an expensive-energy economy, having the “fertilizer factory” on site, or at least much closer than today makes a lot of sense. This is especially true because manure contains a lot of water, although there are substantial differences between productions. Transporting water is expensive. Mixing crops and animal productions again on farms will also allow the inclusion of vegetal debris together again with the feces and urine, producing a higher dry matter content, with limited transport costs between the field and the “fertilizer factory”. Regardless of the size of the farms, I expect to see a relocation of animal production units on agricultural land. They will be spread more evenly in the landscape than today. This will decrease the density of farm animals in currently high-density areas to levels that will allow a better control of environmental issues, as well as reduce partly the risks of transmission of animal diseases. Animal production units will reappear in areas where they had disappeared because of the fertilizer that they will provide. This evolution will also come together with a new approach of manure storage and treatment. Open-air lagoons like those that we know today will simply cease to exist. The changed economics of energy will make the capture of gases financially attractive. Manure storage units will be covered; the biogas will be collected to be used for energy purpose, for the farm and the local communities. The solid and the liquid fractions of the manure will be processed and transformed to provide organic matter and the fertilizing minerals necessary for crop production. The location of the “manure units” will be influenced by the type of animal production, and therefore by the physical quality of the manure. There will be a logistic optimization of manure collection to the crop farms. It will be based on efficiency and optimization of resources. Therefore, the new farm structure will be efficient, as much financially as environmentally. Similarly, open-ocean fish farms that currently do not collect the feces will see the financial value in recuperating the fish waste and sell it. In cities, there will be an increasing interest to recycle the sewage. The purpose will be to recuperate the organic matter and the minerals it contains. A similar approach for human waste will apply as for animal production units as I described above. This will also be integrated in the future approach of urban farming, as it will provide the necessary nutrients for an efficient urban food production. It will be a source of revenue to the cities. In rural areas and in urban areas, organic matter and fertilizing minerals will become strategic activities. They will serve the purpose of feeding sustainably the world population. Following up on the recent publication of the report “100 Questions of Importance for the Future of Global Agriculture” by a group of experts from all over the world under the lead of Jules Pretty of the University of Essex in the United Kingdom, I wanted to react candidly and spontaneously on every of these 100 questions. Since giving extensive answers would represent several months, if not years, of work for a single individual, I chose for the interview format. I gave myself just a couple of minutes to say what came to my mind. I hope it will be as enjoyable for you to read as it was for me to write. I hope that it will trigger reactions, as this is more a first attempt to initiate a forum discussion. The questions were quite interesting. However, I missed a few elements tat I believe to be quite important in the challenge of feeding a population of nine billion by 2050. The initial report did not raise enough questions about the issue of water. Water is essential to agriculture, and the challenge of accessing enough water is even more urgent and more critical than improving food availability. Similarly, the initial report did not reflect much on urban farming. Estimates of today’s urban food production are of 15-20% of the total world food production. Considering that about 50% of the population lives in cities, this means that 30-40% of all the food consumed in cities is produced in urban centers. This is far from negligible. As the urban population is expected to double by 2050, urban farming will be an essential part of our food supply. I had also expected more attention to aquaculture, which is the fastest growing food production. The initial report focuses more on production aspects and systems than it does focus on the human factor. Population increase, distribution and especially the quality of leadership will be crucial for the way food security strategies can be set up. As I mention in one of my answers, our future will be as bright as our leaders. 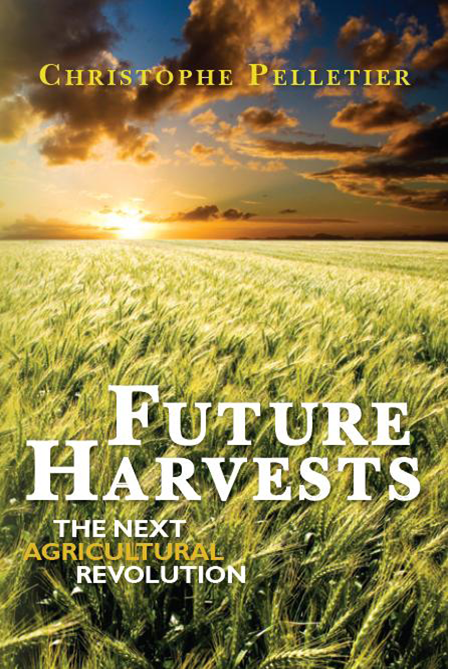 Writing this document, and reacting to questions asked by highly qualified experts, was a good way of assessing the book “Future Harvests” that I published in August 2010. I was quite happy to see that the book addresses all the concerns of the thinkers and policymakers.